Memory Foam For A Sofa Bed? Can You Use a Memory Foam Mattress Topper on a Sofa Bed? This questions brings up a bigger issue – which is whether a memory foam mattress topper pad can help make a sofa bed more comfortable. In general, the answer is probably no. The problem with a sofa bed is that it is usually too soft (because the bed sits on a metal spring type surface) and our topper pad will just make it even softer. A memory foam topper pad will help with the issue of feeling the metal rods that support the sofa bed, but there is a better answer that will help with both the rod issue and make the sofa bed feel firmer. To help a sofa bed mattress feel firmer, you can use a firm insert underneath the mattress like this Sofa Bed Support/bar shield, and it basically is a solid surface (plywood I’m guessing) that you put over the bars and metal mesh and under the sofa bed. This solution gives you a firmer surface for the sofa bed to lay on and also gets rid of the whole bar problem. 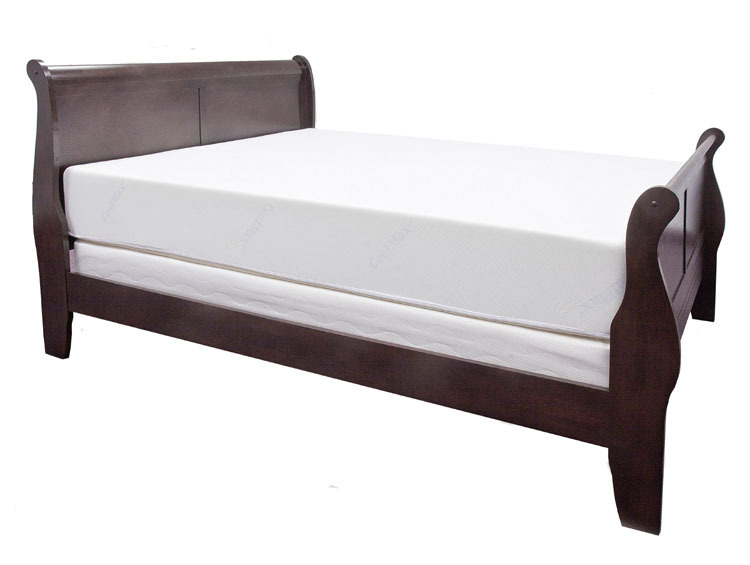 If you still wanted to get a memory foam mattress topper for a sofa bed – you just like the cushy feel – you would need to store it when you aren’t using it separately from the sofa bed. The topper is just too thick to allow you to fold it into the bed. Previous Previous post: Memory Foam Mattresses: Why is Memory Foam so Comfortable?